A weekend festival for the World’s finest choirs, will take place in Cardiff during the Easter weekend. Featuring the KZN Midlands Youth Choir from South Africa, Ukrainian National Children Chorus, “Pearls of Odessa”, Ukrainian Children Chorus, “Seeds”; Chanteuse Chamber Choir from England and Côr Glanaethwy; Côr Iau Glanaethwy; Côr Heol y March; Côr y Cwm from Wales, the inaugural year promises to be a good one. On announcing the full programme of activities, the Festival’s Artistic Director, Eilir Owen Griffiths said “In five weeks’ time we will be welcoming some of the World’s finest choirs to Cardiff. Wales is known as the Land of Song and it has been my life-long vision to bring together the best of the international choral community to Wales and establish Cardiff as a centre of choral excellence. Big Welsh Welcome, featuring Côr y Gleision at Cardiff Castle. 16:00. Opening Concert at the Tabernacle Chapel, The Hayes. 19:30. Category Finals at Hoddinott Hall, Wales Millennium Centre. 12:30-17:30. 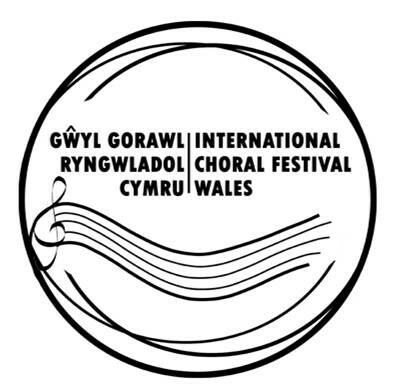 Choir of Choirs Competition at Hoddinott Hall, Wales Millennium Centre. 19:00-22:00. Choral workshop with Bernie Sherlock and Paul Mealor at the Wales Millennium Centre. 10:00-11:00. Choirs perform in multiple locations across Cardiff Bay on rotation from 12:00. Closing Ceremony and Launch of 2019 Festival at Coal Exchange Hotel, Mount Stuart Square from 15:00.